His Royal Highness Prince Jigyel Ugyen Wangchuck, His Majesty’s Representative and the President of the Bhutan Olympic Committee, has been appointed the Chairman of the International Relations Committee (IRC) of the Olympic Council of Asia. HRH was appointed to the Chairmanship during the 34th General Assembly of the Olympic Council of Asia, held in Ashgabat, Turkmenistan and will chair the committee for four years from 2015-2019. The International Relations Committee is responsible for the facilitation and promotion of relationships between the Olympic Movement, particularly the Olympic Council of Asia, National Olympic Committees, International Olympic Committee, International and Asian Sports Federations and various government and public authorities. Currently the Olympic Council of Asia has 17 standing committees to assist in the execution of its mandate. The powers of the Olympic Council of Asia are exercised through 3 organs; namely the General Assembly, the Executive Board and the President. The Chairpersons of the standing committees are members of the Executive Board of the Olympic Council of Asia, and as such, HRH Prince Jigyel Ugyen Wangchuck is now also a member of the Executive Board of the Olympic Council of Asia. HRH was previously a member of the Peace through Sports Committee. 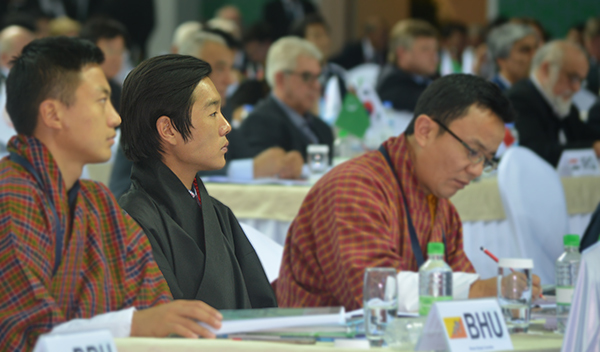 This is the first time ever that the Bhutan Olympic Committee has been represented in the Executive Board of the Olympic Council of Asia.